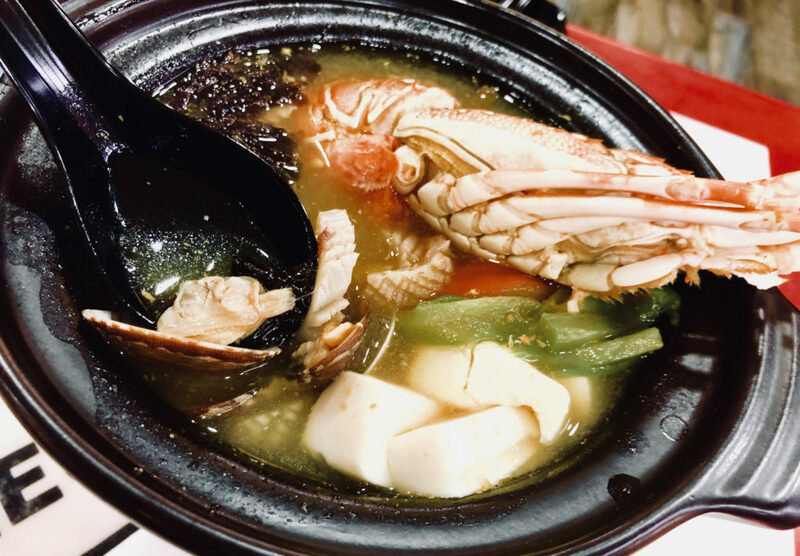 The perfect bowl of fish soup is deceptively simple – after all, it’s just some slices of fish and veggie in a bowl of soup right? 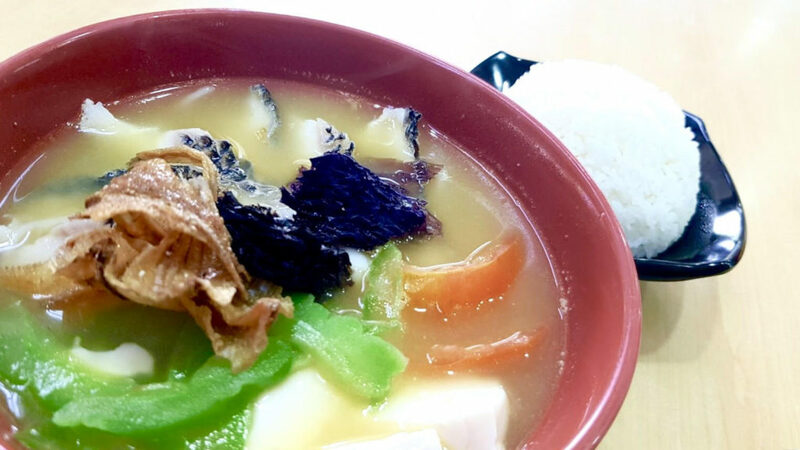 But still, why do only certain fish soups manage to capture our hearts and souls? There is also a legit good reason why this fish soup specialist is called “Champion Chef”. 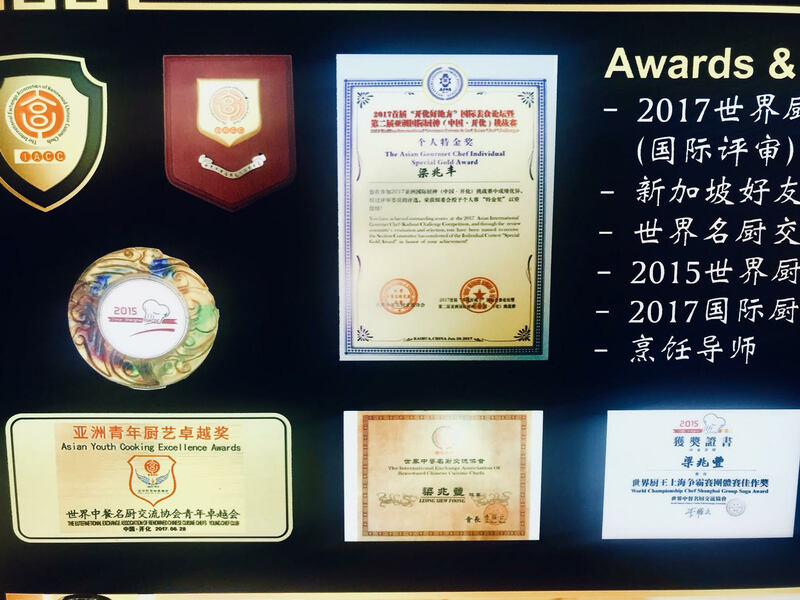 Our chef-in-charge here has been in the chef industry for over 30 years, with extensive expertise in restaurant business, and has won a whopping number of awards as displayed. 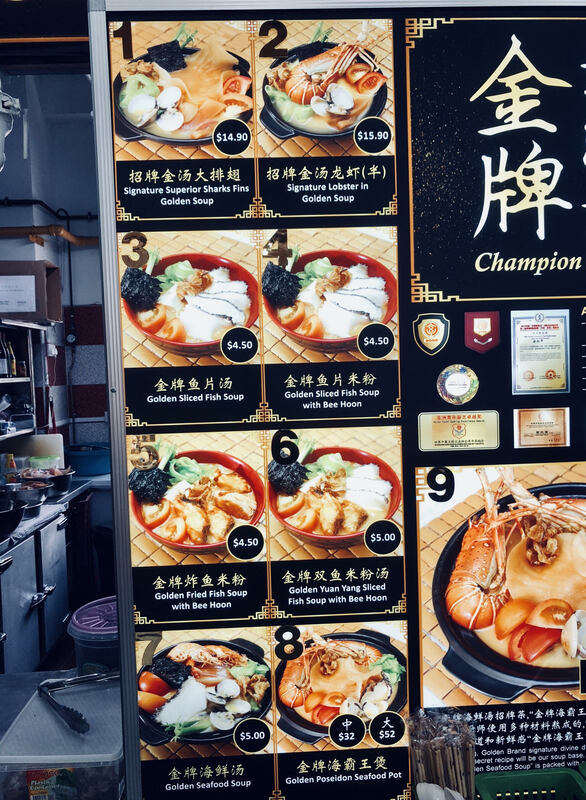 He has recently decided to branch out and bring his unique restaurant-standard soup to more heartland areas, the first one being here in Sengkang, nestled in a cosy neighbourhood corner. He uses a special seafood base light enough to lighten your spirits in gloomy weather, and refreshing enough to crave on a hot sunny afternoon. 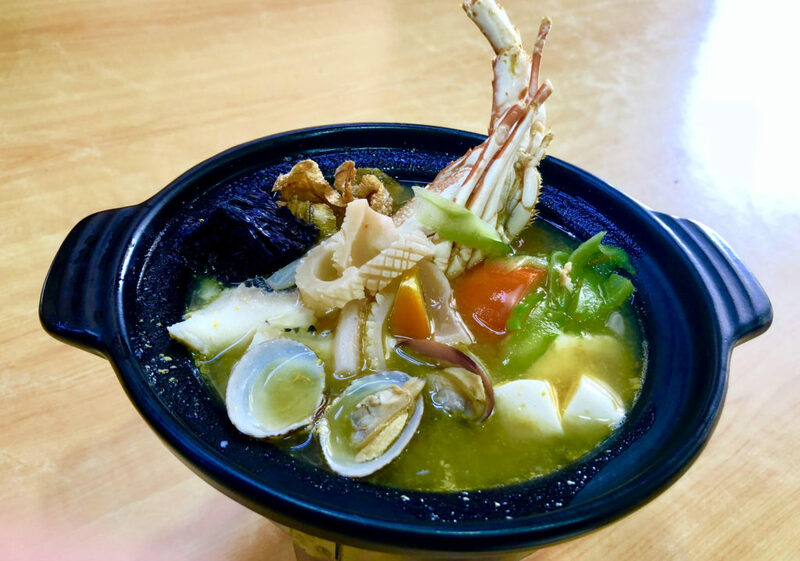 Unlike typical fish soup base recipes that use 黃豆 (yellow beans), this soup uses pumpkin instead. The soup is boiled with pumpkin, pork, and chicken for 10 hours!! 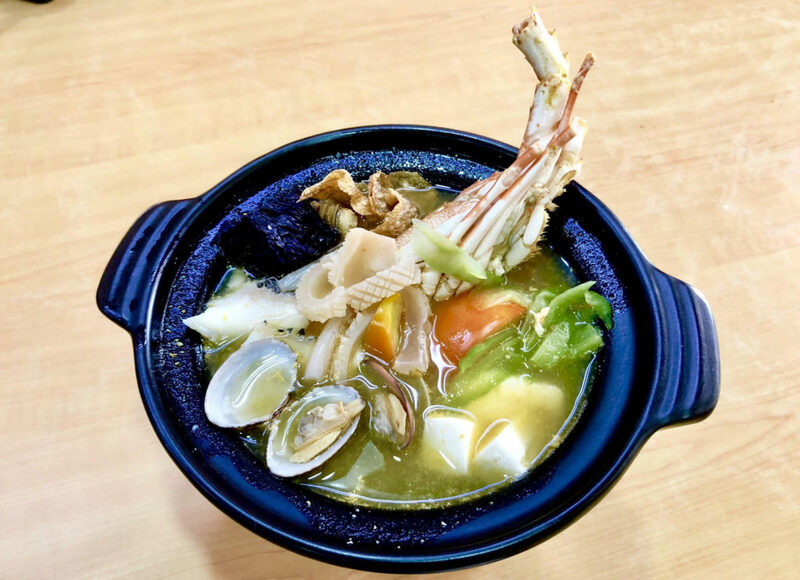 This brings out the sweetness and frothiness in the broth. By the way, you might wanna take note: pumpkin is a beauty food, rich in antioxidants, vitamins, and minerals. Due to the pumpkin, the soup glistens with a lovely saffron-ish hue! However, the one dish that really tickles our Damnworthit tastebuds is the “Signature Lobster in Golden Soup”. 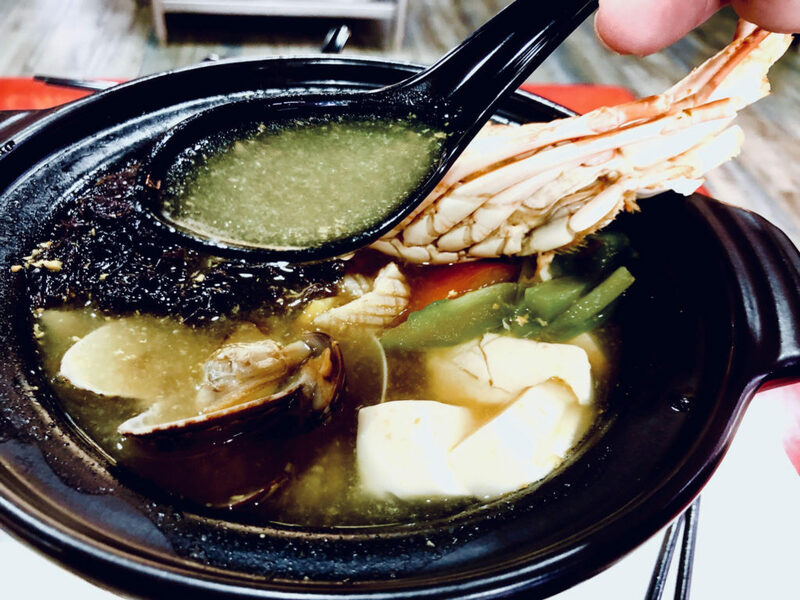 With its signature golden glow, the broth is light and sweet, with the lobster essence taste truly saturating the soup without being too overwhelming. 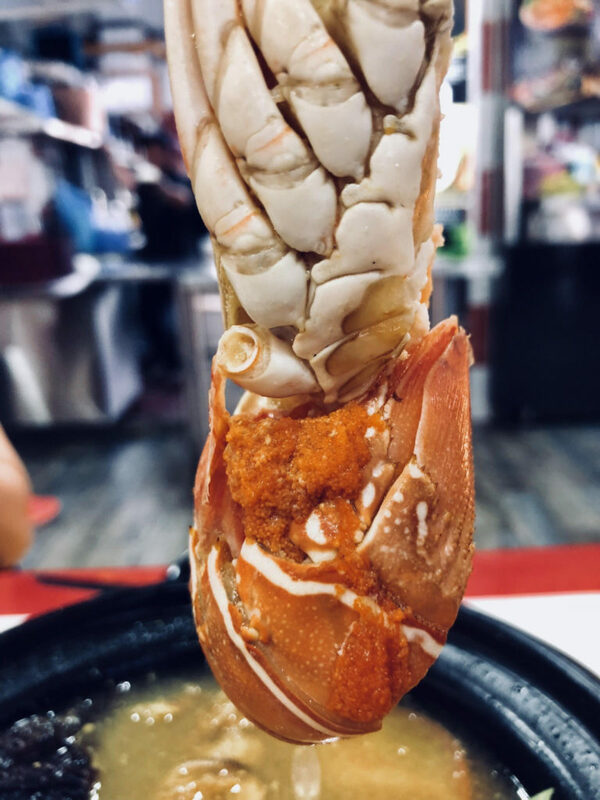 This is for those of us who love seafood without it being too heavy. Also perfect for those who love the super “gao” kind of soup (like me), because it is able to retain the flavour of its ingredients and still be light without being diluted! Ohhh those diluted soups are the worst, might as well boil your own tap water and drink sia. Thumbs up!!! Ingredients are really fresh and cooked to the perfect firmness, especially the lobster. Lobster and crayfish types of seafood are easily overcooked, and may lose their flavour in the process. 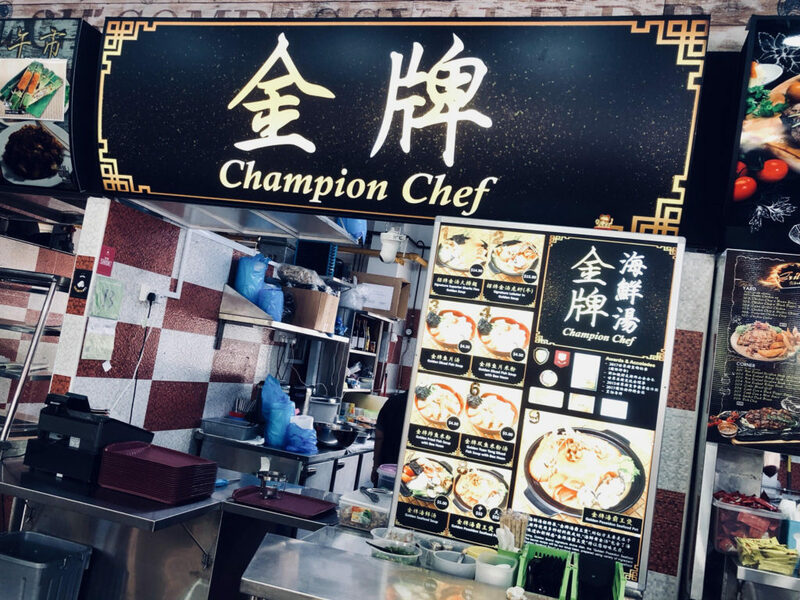 But “Champion Chef” really championed their way through this, even the clams and the cuttlefish are fresh and relatively succulent. Needless to say, the white fish slices are smooth and tender. Also, $15.90 for lobster soup?! This is the real deal… because it is a real steal. Perfect for a rainy evening especially if you stay in Compassvale!